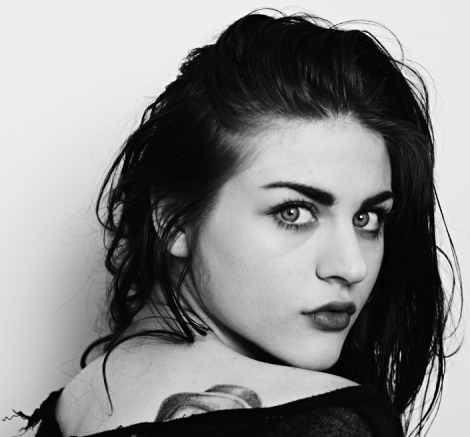 Frances Bean Cobain was born August 18, 1992 and is the only daughter of Kurt Cobain and Courtney Love. Her father died when she was only 1 year and 8 months old. 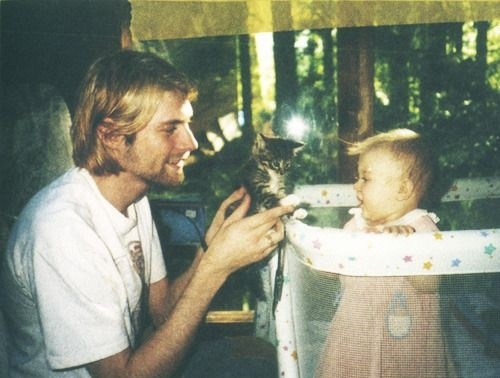 Here’s a photo of baby Frances with her father. Well Frances is tattooed, smoking cigarettes and all grown up now. Check out these photos shot by Hedi Slimane that were released in August 2011.